"Bushfire" redirects here. For general information on uncontrolled fires in non-urban areas, see Wildfire. Bushfires are frequent events during the warmer months of the year, due to Australia's mostly hot, dry climate. Each year, such fires impact extensive areas. On one hand, they can cause property damage and loss of human life. Certain native flora in Australia have evolved to rely on bushfires as a means of reproduction, and fire events are an interwoven and an essential part of the ecology of the continent. For thousands of years, Indigenous Australians have used fire to foster grasslands for hunting and to clear tracks through dense vegetation. Major firestorms that result in severe loss of life are often named based on the day on which they occur, such as Ash Wednesday and Black Saturday. Some of the most intense, extensive and deadly bushfires commonly occur during droughts and heat waves, such as the 2009 Southern Australia heat wave, which precipitated the conditions during the 2009 Black Saturday bushfires in which 173 people lost their lives. Other major conflagrations include the 1983 Ash Wednesday bushfires, the 2003 Eastern Victorian alpine bushfires and the 2006 December Bushfires. In 2013 the non-profit Climate Council reported that Global warming is increasing the frequency and severity of bushfires. The word "bushfire" builds on the concept of "the bush", referring to sparsely-inhabited regions. Bushfires in Australia are generally defined as uncontrolled, non-structural fires burning in a grass, scrub, bush, or forested area. Australia, being a geographically and meteorogically diverse continent, experiences many types of bushfires. There are two main categories, depending on local topography. Hilly/mountainous fires – burn in hilly, mountainous or alpine areas which are usually densely forested. The land is less accessible and not conducive to agriculture, thus many of these densely forested areas have been saved from deforestation and are protected by national, state and other parks. The steep terrain increases the speed and intensity of a firestorm. Where settlements are located in hilly or mountainous areas, bushfires can pose a threat to both life and property. Flat/grassland fires – burn along flat plains or areas of small undulation, predominantly covered in grasses or scrubland. These fires can move quickly, fanned by high winds in flat topography, and they quickly consume the small amounts of fuel/vegetation available. These fires pose less of a threat to settlements as they rarely reach the same intensity seen in major firestorms as the land is flat, the fires are easier to map and predict, and the terrain is more accessible for firefighting personnel. Many regions of predominantly flat terrain in Australia have been almost completely deforested for agriculture, reducing the fuel loads which would otherwise facilitate fires in these areas. Common causes of bushfires include lightning, arcing from overhead power lines, arson, accidental ignition in the course of agricultural clearing, grinding and welding activities, campfires, cigarettes and dropped matches, sparks from machinery, and controlled burn escapes. The natural fire regime in Australia was altered by the arrival of humans. Fires became more frequent, and fire-loving species—notably eucalypts—greatly expanded their range. It is assumed that a good deal of this change came about as the result of deliberate action by early humans, setting fires to clear undergrowth or drive game. Plants have evolved a variety of strategies to survive (or even require) bushfires, (possessing epicormic shoots or lignotubers that sprout after a fire, or developing fire-resistant or fire-triggered seeds) or even encourage fire (eucalypts contain flammable oils in the leaves) as a way to eliminate competition from less fire-tolerant species. Some native animals are also adept at surviving bushfires. Fire Danger Ratings are a feature of weather forecasts and alert the community to the actions they should take in preparation of the day. Ratings are broadcast via newspapers, radio, TV, and the internet. The Australasian Fire Authorities Council (AFAC) is the peak body responsible for representing fire, emergency services and land management agencies in the Australasian region. The Rural Fire Service (RFS) is a volunteer-based firefighting agency and operates as part of the Queensland Fire and Emergency Services. The New South Wales Rural Fire Service (RFS) is a volunteer-based firefighting ,agency and statutory body of the Government of New South Wales. The Country Fire Service is a volunteer based fire service in the state of South Australia. The CFS operates as a part of the South Australian Fire and Emergency Services Commission (SAFECOM). Bushfires tend to occur mainly near Adelaide. In Victoria, the Country Fire Authority (CFA) provides firefighting and other emergency services to country areas and regional townships within the state, as well as large portions of the outer suburban areas and growth corridors of Melbourne not covered by the Metropolitan Fire Brigade. Responsibility for fire suppression and management, including planned burning on public land such as State Forests and National Parks, which makes up about 7.1 million hectares or about one third of the State, sits with the Department of Environment, Land, Water and Planning (DELWP). The Department of Fire and Emergency Services of Western Australia (DFES) and the Department of Parks and Wildlife (P&W) have joint responsibility for bushfire management in Western Australia. DFES is an umbrella organisation supporting the Bush Fire Brigade volunteers, Emergency Services Cadets, Fire and Rescue Service, State Emergency Service, Volunteer Emergency Service, Volunteer Fire Service, Volunteer Fire and Rescue Service, and the Volunteer Marine Rescue Services. The Tasmania Fire Service manages bushfires in Tasmania with the help of Tasmanian Parks and Wildlife Service and Forestry Tasmania. Local authorities provide education and information for residents in bushfire-prone regions regarding the location of current fires, preservation of life and property and when to escape by car. Bushfires in Australia can occur all year-round, though the severity and the "bushfire season" varies by region. These seasons are commonly grouped into years such as "2006-07 Australian bushfire season" and typically run from June one year until May the next year. In southeast Australia, bushfires tend to be most common and most severe during summer and autumn (December–March), in drought years, and particularly severe in El Niño years. Southeast Australia is fire-prone, and warm and dry conditions intensify the probability of fire. In northern Australia, bushfires usually occur during the dry season (April to September), and fire severity tends to be more associated with seasonal weather patterns. 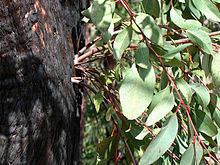 In the southwest, similarly, bushfires occur in the summer dry season and severity is usually related to seasonal growth. Fire frequency in the north is difficult to assess, as the vast majority of fires are caused by human activity, however lightning strikes are as common a cause as human-ignited fires and arson. Australia's climate has been trending toward more bushfire weather over the last 30 years. The Climate Commission found that "The intensity and seasonality of large bushfires in south-east Australia appears to be changing, with climate change a possible contributing factor." A 2006 report by the Bushfire CRC acknowledges the complexity of climate predictions pointing out "Much of [Australia's] vegetation has a complex evolutionary and dependent relationship with fire. Fire has been part of these environments for tens of thousands of years and much native flora and fauna remains dependent on it in various ways." In 2007, a study by the CSIRO (the national government body for scientific research in Australia), found evidence that climate change will lead to increases in very high and extreme fire danger rating days and earlier onset of the fire season. Other studies investigating the historical record identify significant changes in Australia's bushfire season as a result of human activity. Bushfires have accounted for over 800 deaths in Australia since 1851 and the total accumulated cost is estimated at $1.6 billion. In terms of monetary cost however, they rate behind the damage caused by drought, severe storms, hail, and cyclones, perhaps because they most commonly occur outside highly populated urban areas. Pulletop bushfire, Wagga Wagga New South Wales 9,000 22,000 6 February 2006 Nil 2,500 sheep and 6 cattle killed, 3 vehicles and 2 hay sheds destroyed as well as 50 kilometres (31 mi) of fencing. Boorabbin National Park Western Australia 40,000 99,000 30 December 2007 3 Powerlines and Great Eastern Highway, forced to close for 2 weeks. Black Saturday bushfires Victoria 450,000 1,100,000 7 February 2009 – 14 March 2009 173 2,029+ houses, 2,000 other structures. Lake Clifton bushfire Western Australia 2,000 4,900 11 January 2011 Nil 10 homes destroyed. Roleystone Kelmscott bushfire Western Australia 1,500 3,700 6 – 8 February 2011 Nil 72 homes destroyed, 32 damaged, Buckingham Bridge on Brookton Highway collapsed and closed for 3 weeks whilst a temporary bridge was constructed and opened a month after the fires. Carnarvon bushfire complex Western Australia 800,000 2,000,000 27 December 2011 – 3 February 2012 Nil 11 pastoral stations (fences, watering systems, water points, stock feed). 2014 Parkerville bushfire Western Australia 386 950 12 January 2014 Nil 56 homes. 2015 O'Sullivan bushfire (Northcliffe - Windy Harbour) Western Australia 98,923 244,440 29 January – 20 February 2015 Nil 1 home and 1 inhabited shed, 5 farm sheds and thousands of hectares of production forests (karri and jarrah) or national parks. 2015 Lower Hotham bushfire (Boddington) Western Australia 52,373 129,420 January 2015 Nil 1 house, 1 farm shed, 1 bridge and thousands of hectares of production forest (jarrah) or national parks. Perth Hills bushfire complex - Solus Group Western Australia 10,016 24,750 15 – 24 November 2015 Nil Jarrah production forest and Conservation Park. Angry Summer, 2012–2013 Australian summer. ^ Milman, Oliver (24 October 2013). "Climate Council finds 'clear link' between bjjidjsndhyxjznxhxuchange". The Guardian. Retrieved 26 October 2013. "There is a “clear link” between climate change and bushfires, with the current New South Wales fires influenced by a rising frequency of hot, dry days, according to the climate body that had its funding withdrawn by the Coalition government. * * * The Climate Council’s interim findings, drawn from 60 peer-reviewed studies, show climate change is influencing the number of extremely warm days in Australia, as well as prolonged periods of low rainfall." ^ Flannery, T. (1994) "The future eaters" Reed Books Melbourne. ^ Wilson, B., S. Boulter, et al. (2000). Queensland's resources. Native Vegetation Management in Queensland. S. L. Boulter, B. A. Wilson, J. Westrupet eds. Brisbane, Department of Natural Resources. ^ White, M. E. 1986. The Greening of Gondwana. Reed Books, Frenchs Forest, Australia. ^ "New Warning System Explained". Country Fire Authority. Retrieved 1 February 2010. ^ "Rural Fire Service Queensland". ^ "NSW Rural Fire Service". New South Wales Government. Retrieved 30 October 2010. ^ "Country Fire Authority". Retrieved 30 October 2010. ^ "Welcome to DFES". Department of Fire and Emergency Services of Western Australia. Retrieved 30 October 2010. ^ "About TFS". Tasmania Fire Service. 2019. ^ 2013 Tasmanian Bushfires Inquiry: Volume 1 (PDF) (Report). ISBN 978-0-9923581-0-5. ^ "NSW Current Fires". NSW Rural Fire Service. ^ "How to survive a bushfire" (PDF). NSW Rural Fire Service. Retrieved 20 February 2017. ^ "Driving in a bushfire". Retrieved 20 February 2017. ^ Luke RH, McArthur AG (1978). Bushfires in Australia. Canberra: Australian Government Publishing Service. ^ Sullivan, Rohan (11 February 2009). "Hot and dry Australia sees wildfire danger rise". The Association Press. Retrieved 13 February 2009. ^ "Monsoonal Climate". Questacon. Retrieved 9 September 2006. ^ "Bushfire weather in Southeast Australia: Media Brief", The Climate Institute, 26 September 2007. Retrieved 24 October 2013. ^ "The Critical Decade: Climate science, risks and responses" Archived 24 October 2013 at the Wayback Machine, The Climate Commission, 2011. Retrieved 24 October 2014. ^ "CLIMATE CHANGE AND ITS IMPACT ON THE MANAGEMENT OF BUSHFIRE" (PDF). Bushfire Cooperative Research Centre. September 2006. p. 4. Retrieved 25 October 2013. ^ CSIRO (2007). "Bushfire Weather in Southeast Australia Recent Trends and Projected Climate Change Impacts". Retrieved 25 October 2013. ^ Jones, Roger. "Fire and climate change: don't expect a smooth ride". The Conversation. Retrieved 24 October 2013. ^ "Summary of Major Bush Fires in Australia Since 1851". Romsey Australia. Retrieved 29 October 2010. ^ "EMA Disasters Database". Emergency management Australia. Archived from the original on 18 November 2010. Retrieved 30 October 2010. ^ Black Thursday Archived 13 November 2010 at the Wayback Machine. Retrieved 10 February 2009. ^ a b c "Major bushfires in Victoria". Department of Sustainability and Environment. Archived from the original on 2 September 2006. Retrieved 15 February 2009. ^ "Chisholm, Alec H.". The Australian Encyclopaedia. 2. Sydney: Halstead Press. 1963. p. 207. Bushfires. ^ a b "The Sydney Morning Herald from Sydney, New South Wales". Newspapers.com. 21 December 1974. p. 1. Retrieved 13 February 2018. ^ a b c d e f Mac Dougall, I D (2003). "A National User-Driven approach towards a coordinated Fire Research Program" (PDF). The Australian Bushfire Cooperative Research Centre Program. Archived from the original (PDF) on 13 February 2018. Retrieved 13 February 2018. ^ a b c d e f "Bush Fires / Wild Fires - Australian Bushfire History". www.australiasevereweather.com. Retrieved 13 February 2018. ^ a b c d e "Our Service's story" (PDF). NSW RFS Bush Fire Bulletin Souvenir Liftout 2010 Part Two. Retrieved 14 February 2018. ^ a b Ellis, Kanowski & Whelan (2004). COAG National Inquiry on Bushfire Mitigation and Management (PDF). Commonwealth of Australia. p. 341. ^ a b 2009 Victorian Bushfires Royal Commission Final Report (PDF). Parliament of Victoria. 2010. p. 347. ISBN 978-0-9807408-1-3. ^ a b "Bushfires in NSW: timelines and key sources" (PDF). NSW Parliament Issues Backgrounder Number 6. NSW Parliamentary Research Service. June 2014. ^ "Bushfire – Sydney and Region:1 December 1979". Attorney-General's Department (Australia). Archived from the original on 29 October 2013. Retrieved 9 January 2013. ^ "1979 – 1980, Sydney and Region bushfire". Ministry for Police and Emergency Services. 18 September 2007. Archived from the original on 23 October 2013. Retrieved 9 January 2013. ^ Mutton, Sheree (9 January 2014). "Shire fire horror still lingers 20 years on". St George & Sutherland Shire Leader. Fairfax Regional Media. Retrieved 22 January 2018. ^ "Bushfire threat eases in NSW". The Sydney Morning Herald. 4 January 2006. Retrieved 20 March 2009. ^ "Generous support coming in for farmers affected by bushfires". NSW Department of Primary Industries. New South Wales Government. 6 January 2006. Retrieved 20 March 2009. ^ Kennedy, Les; David Braithwaite; Edmund Tadros (22 November 2006). "Man dies as early bushfire season grips NSW". The Age. Retrieved 11 June 2015. ^ "Report on the Tasmanian East Coast Fires: Community Recovery" (PDF). bodc.tas.gov.au. Australian Red Cross. p. 10. Archived from the original (PDF) on 16 March 2015. Retrieved 11 June 2015. ^ "Authorities investigate forestry worker's death". ABC News. Australian Broadcasting Corporation. 14 January 2007. Retrieved 12 June 2015. ^ Morton, Adam; Orietta Guerrera; Bridie Smith (15 December 2006). "Bushfires claim first life". The Age. Retrieved 11 June 2015. ^ Switzer, Renee (18 January 2007). "One dead in SA bushfire". The Age. Retrieved 11 June 2015. ^ "Body found in fire wreckage". ABC News. Australian Broadcasting Corporation. 18 January 2007. Retrieved 29 April 2016. ^ "Woman fleeing bushfire burnt to death". Sydney Morning Herald. AAP. 3 February 2007. Retrieved 11 June 2015. ^ "Rain could help damp down WA bushfires". ABC News. 25 November 2011. Retrieved 22 October 2013. ^ Van de Wetering, Jodie (11 March 2013). "A timeline of the Coonabarabran bushfires". ABC (Western Plains). Retrieved 22 October 2013. ^ "Watch and Act – Linksview Road Fire, Springwood (Blue Mountains) 19/10/13 11:40". NSW Rural Fire Service. 19 October 2013. Retrieved 19 October 2013. ^ Madden, James. "Firestorm destroys NSW communities as hundreds of homes could be lost". The Australian. Retrieved 25 October 2013. ^ Taylor, Roxanne; Powell, Graeme (18 November 2015). "German backpackers, farmer believed dead in Esperance fires". ABC News. ABC. Retrieved 18 December 2015. ^ Fergusson, Euan: Report of the Special Inquiry into the January 2016 Waroona Fire ("Reframing Rural Fire Management"), Government of Western Australia, Volume 1: Report, 29 April 2016. ^ "35 homes razed in NSW blazes: RFS". SBS News. SBS. 15 February 2017. Retrieved 15 February 2017. ^ Le Lievre, Kimberley; Groch, Sherryn; Brown, Andrew (18 February 2017). "Police investigate blaze near Queanbeyan as fire crews battle on". The Canberra Times. Retrieved 21 February 2017. ^ "Bushfire in Tathra wipes out 69 homes, residents still unable to return to NSW south coast town". ABC. 19 March 2018. Retrieved 20 March 2018. Wikimedia Commons has media related to Bushfires in Australia. "Australian fire risk and season maps". Romsey Australia. "Real-time Australian Bushfire Map". The Unorthodox Engineers. "Australian Bushfire Map prone area map". balrating.